We’re not likely to see the end to digital dominance of the textbook market anytime soon. Digital technology has fundamentally and permanently changed the nature of textbook publishing, and the changes are still ongoing. Until recently, many companies viewed going digital as a pain–something that made life harder rather than easier. Today, things have changed. More than ever, students and trainees expect digital services as an essential part of their learning process. No longer does digitization appeal only to the few. Now it is part of everyday life. Although many textbook manufacturers are resistant to change, at 30 Bird we believe that the textbook industry can be revitalized by digital technology. Learning should be easy for everyone, and that’s what digital technology is all about. New tech allows us to keep on top of any developments that affect the information included in our learning materials. In many fields, especially those that involve tech or regulations, changes occur swiftly. The old model where textbooks were released every decade or so is out of the question. Information moves much faster than ever before. By embracing the digital revolution, we ensure that the content of all of our textbooks is up-to-the-minute. Our texts reflect all of the latest changes in all of our subject areas. And, using the power of the internet, we can post real-time updates and changes on our website as soon as they happen. That way you’ll always be ahead of the curve. In the past, publishing textbooks was a huge ordeal. Because of the costs to write, compile, and print them, they had to be published in large batches to make them worth the investment. For more specialized textbooks you could expect to pay hundreds or even thousands of dollars. Luckily, things have changed. That’s why the second biggest trend in textbooks is small batches. Educators, instructors, and students are taking advantage of the amazing advancements in the textbook industry to teach and learn better than ever. Texts that would be out of reach or out of print in past years are now getting a new lease on life. This is great news for people who need specialized items. Whether it means making changes to one of our current textbooks or creating new ones, the possibilities are endless. One of the most significant changes in the textbook industry is a move toward accessibility. For us at 30 Bird that’s inspiring. Now more than ever, textbooks can fit any learner’s particular needs, meaning learning is accessible for everyone. We think that’s beautiful. At 30 Bird, are pushing the limits of accessibility in ways we always dreamed would be possible. Textbooks should meet individual students’ learning needs. Some textbooks meet one of these criteria and some meet the other. Our commitment is to provide both. That’s why the move toward more accessibility is so encouraging to us. We know that students do better work when they feel like their textbooks are speaking to them and their needs. But we also know that students have traditionally found specialized textbooks to be out of their reach. Today, with the combination of our technological ability and our commitment to empowering students, we can make great textbooks more accessible than ever before. One of the coolest changes happening in the textbook industry is the move toward increased personalization. No longer are textbooks impersonal and intimidating. Today, they can reflect everything from school pride to company loyalty. It’s important for us that students connect to the materials we create. 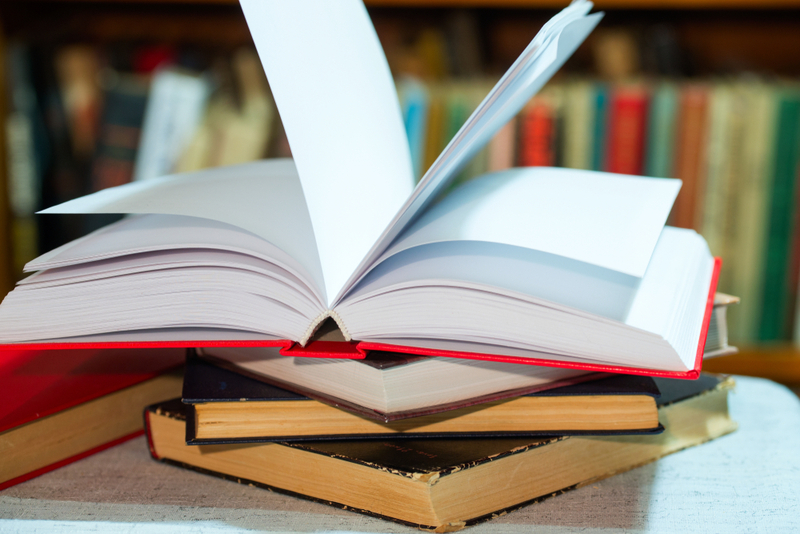 With customized branding, you can have textbooks printed with your business or school logo. We can work with you to create a great look to accompany our already great content. In addition, we offer customization when it comes to content. By choosing the material in your customized textbook, you can be 100% sure you’re getting everything you need–and not wasting any money on material you don’t. Put it in the order you want and control the pace of your class. With our customizable texts, you can create the perfect textbook for your class at an affordable price. A huge and growing trend in the textbook industry today is collaboration. Educators creating their own textbooks for their classrooms was unimaginable just a decade ago. Now, things have changed. At 30 Bird, we believe in teachers. That’s why we encourage student-oriented learning, using teachers and educators as our guides. When you order your textbooks from 30 Bird, you can count on our team bringing you into the process. We will make sure that the text you receive meets your classroom goals. Technology has made it possible for us to change textbook content more easily. At the same time, it has made it easier for us to get feedback from our customers. We take the great ideas and suggestions our customers give us and use it to constantly improve our textbooks. The distances between instructor, student, and textbook publisher have become shorter. Being more responsive and taking quick action when change is needed keeps us on the cutting edge of the textbook industry.